Named the “Best Comedy Troupe in Pittsburgh” by Pittsburgh City Paper and the “Best Nerd Fantasy Come to Life” by Pittsburgh Magazine! 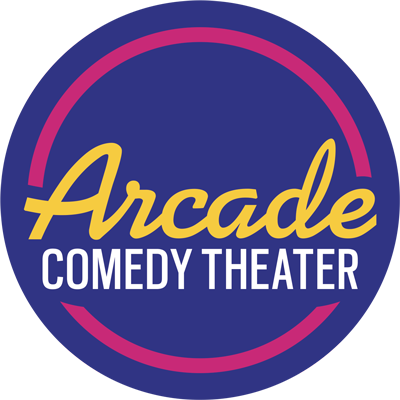 Knights of the Arcade is a live Dungeons & Dragons game played on stage by comedians, improvisers, and tried-and-true geeks. Every month, the Knights embark on an epic quest built entirely from audience suggestions. With special guests, video-projected dice, and a lively audience cheering along with every Critical Hit, Knights of the Arcade is unlike any show in the Burgh. For the first time ever, Knights will perform two hilarious shows at Origins Game Fair in Columbus, OH! If you’ll be at the event, join us for just $10 (with your Origins badge) on Saturday, June 16, at 7 and 9 p.m.
To get tickets, simply go to the Origins Event Registration booth and ask for Knights of the Arcade tickets! See you there! The Knights of the Arcade typically quest on the last Saturday of every month at 9 p.m. Visit our Showclix calendar to get tickets for upcoming adventures! Sign up below to get occasional, super-totally-not-obnoxious emails about upcoming shows, special events, podcast episodes, and new videos. We’ll only send you things you’ll love.